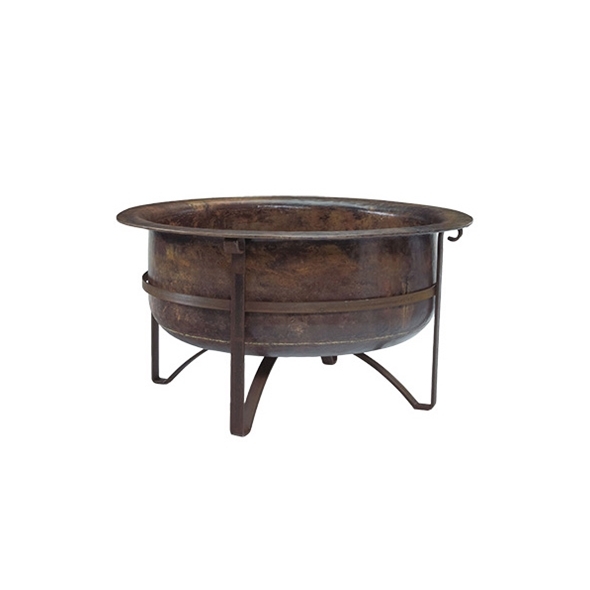 Outdoors / Fire Pits / #25001 Acadia Rustic Fire Pit - 42"
#25001 Acadia Rustic Fire Pit - 42"
This rustic, sturdy fire pit adds a touch of minimalist elegance to any outdoor space. Featuring a design exclusive to Jatex International, the deep copper bowl radiates intense heat, perfect for cozying up to on cool summer nights. With exposure to the elements the copper will age for a natural verdigris effect, making your piece truly one of a kind.